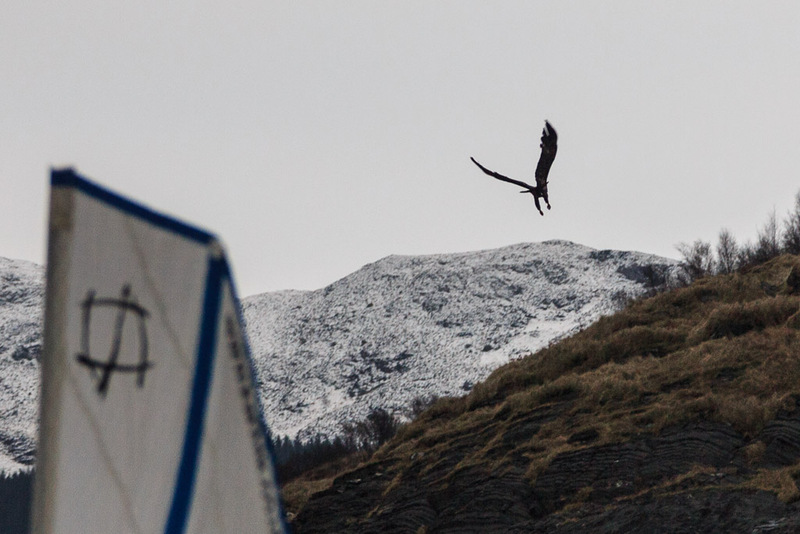 More sea eagles than seakayakers on our four day winter adventure! We came around a corner and something caught our eye in the sky. It was a bloody great birdy thing. It didn't go far, a couple of flaps of its wing and it landed on a grassy bank just ahead of us. 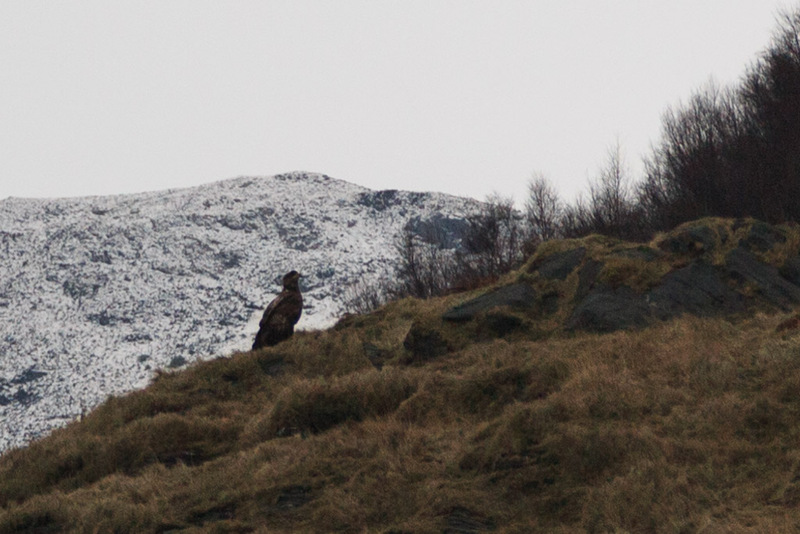 From its perch it kept a beady eye on us but it was completely unfazed by our passing, just 50m away. We had stopped paddling and just let the kayak sails move us serenely along. Even seals don't get upset when we approach under sail alone. Anyway the birdie proved to be an immature sea eagle. Last summer two mature sea eagles were regularly spotted in this area. Rather sadly there was no sign of the peregrine falcons which used to inhabit this spot.and which I saw on all of my previous visits. Mind you the big birdies don't get it all their own way. Two black backed gulls swooped down and chased it off its perch then started mobbing it in the air.